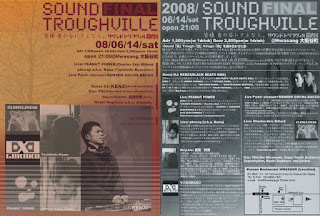 SALADS IN SPACE live at the "Art Salad Exhibition Closing Event", Soho Gallery, Saturday 5/31, 20:00. 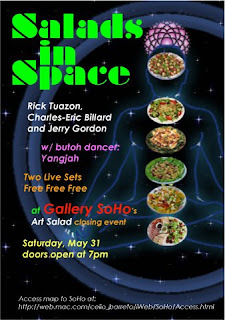 SALADS IN SPACE is the name of the improvised music trio formed of Rick Tuazon, Jerry Gordon and meself. 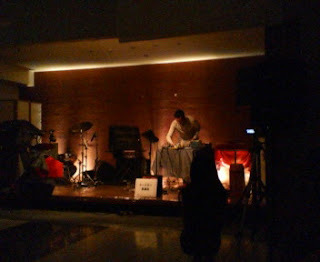 The band performed live at the "Art Salad Exhibition Closing Event", at Soho gallery. Yangjah, contemporary dance, joined the trio.